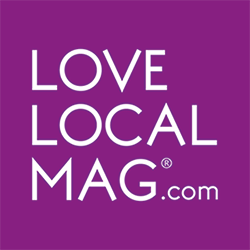 Love Local Magazine is owned by KST Marketing Limited (“us, “we”, “our”), registered in Scotland under company number SC445376 is the data controller of your Information for the purposes of the Data Protection Act 1998 (the “Act”). We respect your privacy and we are committed to protecting your personal information as that term is defined in the Act (“Information”). We comply with the principles of the Act and aim to maintain consistently high levels of best practice in our processing of your Information. Statistical Analysis: Love Local Mag may perform statistical, demographic and marketing analyses of subscribers, and their subscribing and purchasing patterns, for marketing and customer service purposes. Email Newsletters: If you choose to receive them, Love Local Mag will periodically send you email newsletters. Email Promotions: If you provide your email address as a customer or newsletter subscriber, Love Local Mag reserves the right to send you promotional emails about products and services offered by Love Local Mag, fundraising campaigns, and occasional events that we participates in. You may opt out of these emails at any time. Survey Email: We may send you an email inviting you to participate in user surveys. User surveys greatly help us to improve our Web site and magazine and any information we obtain in such surveys will not be shared with third parties. All competitions on our website or in our magazine are fulfilled by a third party business, who may received all data collected (including name and email address), and may subsequently contact you. Please note that, even if you delete Information, we may retain your Information in conformance with our data retention policy; and we are not responsible for updating or removing your Information contained in the lists or databases of third parties who have been provided with Information as permitted by this Policy. The Information that we collect from will be stored in mailchimp. We are not responsible for how a third-party organisation store your Information. We follow appropriate security procedures in the storage and disclosure of your Information so as to prevent unauthorised access by other parties. We also require those parties to whom we transfer personal information to comply with the same. However, unfortunately, the transmission of information via the Internet is not completely secure. So, we cannot ensure the security of your Information transmitted by you to us via the internet.